A large part of the pleasure from traveling comes from recording sights and adventures, both to share with friends and family and to enjoy reliving the good times later. Both my husband and I have used Canon cameras for many years, including point and shoot varieties and DSLRs. Yes, we’d love to get new cameras whenever these are introduced (not practical, however! ), but I’m happy to pass along information to readers who may be in the market. Canon has two new compact, super-zoom cameras that will be available soon: the PowerShot SX520 HS and the PowerShot SX400 IS digital cameras. Designed to give users the versatility and telephoto reach they need to capture subjects from far distances, these cameras are packed with impressive features. 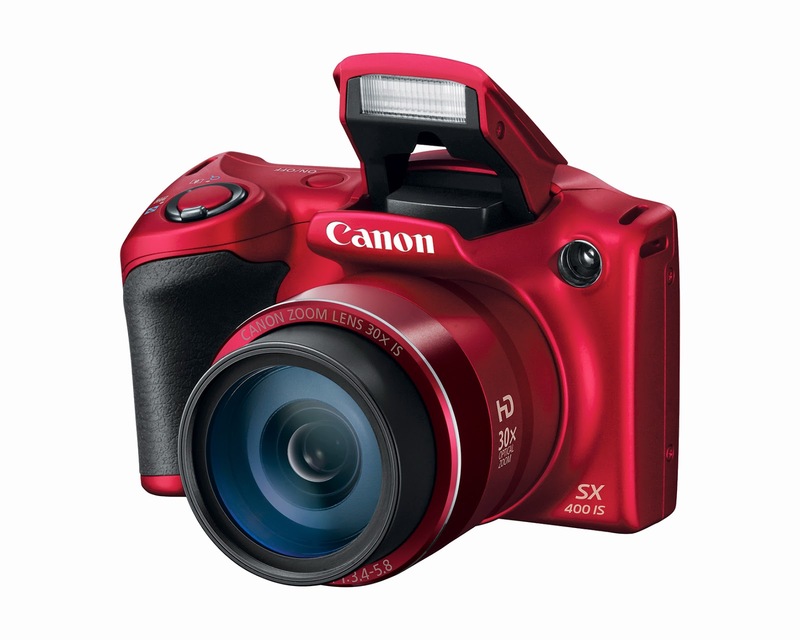 The PowerShot SX520 HS Digital Camera is ideal for active families that want to take high-quality close-up shots of their children’s soccer game or dance recitals. In addition to featuring a powerful optical zoom range, the SX520 HS digital camera is excellent for low-light situations. The camera features a dedicated movie button so users can easily record 1080p Full HD video utilizing the camera’s full 42x optical zoom capability. The camera also features an enhanced grip for added handling comfort. Additionally, the camera automatically chooses from one of eight modes to help optimize image stabilization for virtually shake-free images. Other features include high speed auto-focusing; zoom framing assist for locating the main subject by zooming out and then zooming back in quickly and automatically; and smart auto technology that selects 32 different pre-defined scenes for still shots and 21 scenes for video without the need to switch modes, so you can take images and video in a variety of situations. Another feature families will appreciate is the Hybrid AUTO mode that creates a beautifully stabilized HD video clip (up to approximately four seconds) every time a user shoots a still image, then compiles the clips into a single movie that forms a “highlighted reel” for the day. Available in September for about $400, this camera is equipped with a built-in mini-HDMI port that makes it easy to connect to an HD TV set so everyone can enjoy viewing the footage. 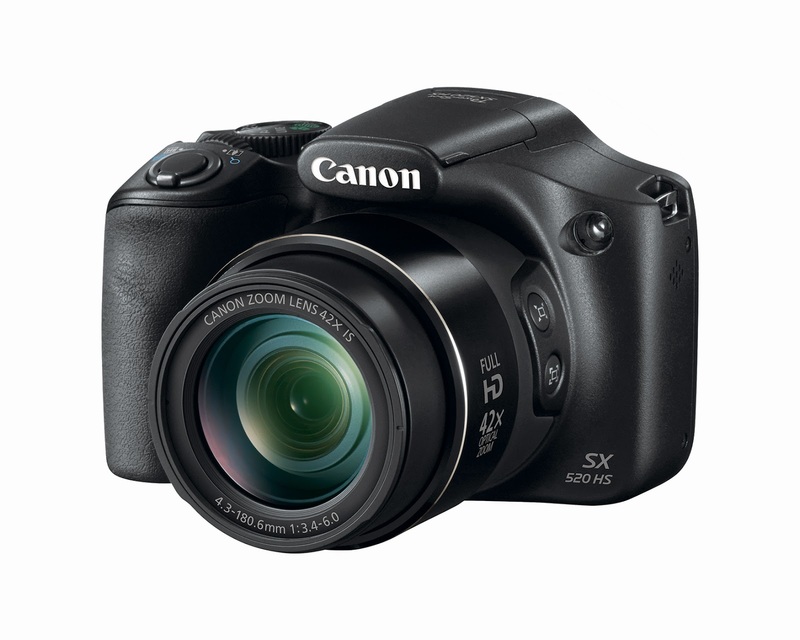 The PowerShot SX400 IS Digital Camera is more compact but packs a powerful 30x Optical Zoom range with Optical Image Stabilizer. The 16 Megapixeli CCD sensor and DIGIC 4+ image processor combine with Canon’s Intelligent IS system to provide users with outstanding functionality, while the updated grip design improves handling comfort. With Smart AUTO, the camera identifies an ideal image setting by intelligently selecting from one of 32 pre-defined modes for still shots and 21 scenes for video. The camera has a dedicated movie button to easily stop and start recording 720p HD video. The camera’s High Speed AF, upgraded from the previous model, helps to reduce lag time so that the perfect shot can be captured quickly. Available in August in black or red, estimated price is $250. Photos provided by Canon USA, Inc.